DPC Veterinary Hospital is the premiere animal hospital in Davie serving the needs of hundreds of four legged patients and their humans. We are a full service animal hospital that takes a caring and compassionate approach to veterinary services and treats your pet as if it was our own. You can rest assured that when your pet receives care from DPC Veterinary Hospital it is not only of the highest professional standard but personalized and designed to minimize pet anxiety. We provide a full range of veterinary services from routine vaccinations to diagnostic services to surgery. 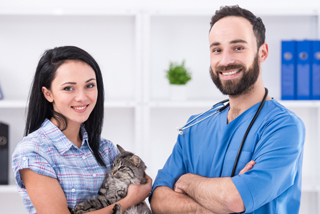 We are big believers in preventive health and offer a variety of discounted scheduled health maintenance packages for kittens, puppies, adult dogs and cats as well as senior pets. Regular pet care, just like regular human health care can lead to a longer, happier life with fewer expensive health issues. 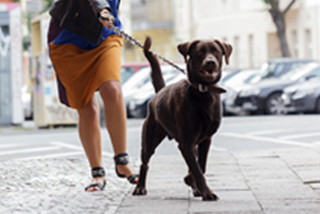 We understand that a pet owner leads a busy life and for most finding time during the work week to get their pet into the clinic is difficult. That's why we are open 7 days a week (including surgery service) and we don't charge extra for weekend appointments. 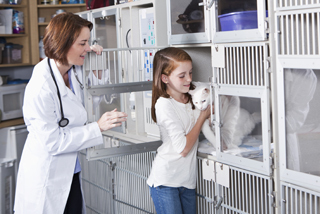 We are a caring, convenient and cost effective animal hospital serving Davie and the Broward County area. Spaying and neutering cats and dogs is essential to ensure your pet lives a long and healthy life. We've made spaying and neutering a specialty at DPC and offer the surgery seven days per week. Our surgical staff is among the finest in Florida and our techniques are leading edge. We have priced spaying and neutering so that it is feasible for nearly all our pet owners to have the procedure done. In addition we accept Broward County SPOT vouchers for those clients who have them. For decades professional athletes used laser therapy to reduce pain and encourage healing after surgeries. 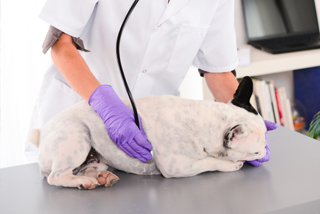 Advances in laser technology now make it possible to offer the same therapy in the treatment of pain associated to surgery, sprains and arthritis in pets. The hand held units are non-invasive, the treatment takes just minutes and the results are almost immediate. Most pets find the treatment relaxing with some dogs actually falling asleep. Laser therapy, state of the art surgical theaters and the unconditional commitment to your pet's health are just three of many reasons to call DPC your Davie animal clinic. Give us a call today and make your first appointment.